“I’m full!” and “I don’t want any more!” are the phrases that make parents’ hearts sink as they watch their children push food around their full plate just minutes after sitting down. It’s only worse when the table is full of relatives who try to convince your child to try a bite of this or that, only making it worse. Yet, it’s not an uncommon occurrence. If you dread sitting down at the Thanksgiving table with your little ones because you’re fairly certain they won’t try a bite of turkey, mashed potatoes or steamed veggies, don’t worry! Here at Picniic, we understand. Children are notorious for their picky eating habits and unfortunately, the Thanksgiving staples aren’t exactly kid-friendly for many difficult to please eaters. 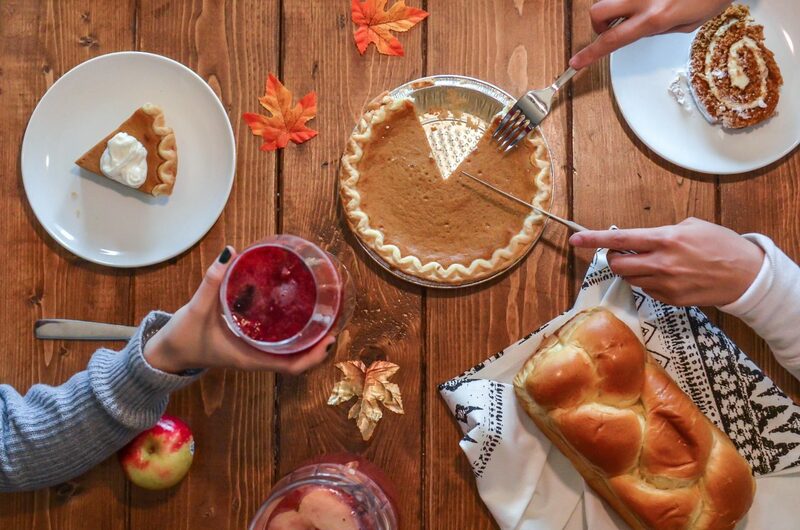 So, we’ve searched for some of the best kid-friendly Thanksgiving recipes available and compiled them here for you to try! Cute, individual serving sized muffins are the perfect way to serve your stuffing this year. You can try this recipe or use your family’s favorite recipe, just bake it in greased muffin tins. Your kids are sure to be enchanted by the presentation and will want to give one a try. Serve with gravy and watch these disappear. Fried green beans? Yes! Just like french fries, but green. You’ll have to get your hands on some fresh green beans to try this, but it’s well worth the try. However, you could also try something similar using slices of zucchini and other squashes. Simply skip the boiling step. You’ll be amazed to see how your kids devour vegetables when made this way. The perfect way to disguise healthy vegetables like broccoli? Cheese. Lots of cheese! This dish resembling macaroni and cheese offers a great way to fill your kids up this Thanksgiving. The best part? It’s very easy to make, leaving you plenty of time to tend the turkey and other side dishes. Once the rice is cooked, you simply stir in the other ingredients and let it sit, covered, until ready to serve. Fresh vegetables aren’t always a favorite for kids, but with the right presentation, they can be convinced to try just about anything. With one (or a few) bell peppers cut out like turkeys, you’ll make the perfect festive hummus bowl. Colorful sliced bell peppers serve as the “feathers”. You can easily add in other sliced veggies like carrots and celery instead of serving only peppers. You may also consider substituting the hummus with a healthy homemade ranch dip. Then, call your ones to the table to gobble up this cute Thanksgiving dish! Did we mention that cheese is one of the best ways to get kids to try new dishes? If the texture and taste of mashed potatoes isn’t your kids’ favorite, try this cheesy potato casserole. It’s a great way to enjoy potatoes on Thanksgiving without having to coax your child to take every bite. Creamy, cheesy and with a little crunch on top, this casserole is a delicious alternative to the traditional mashed potatoes of Thanksgiving. Fresh fruit like apples, grapes, mandarin oranges or clementines are made enticing by serving them in a waffle cone cornucopias. This dish is easy to make, but has great visual appeal. You can easily turn the creation of these cornucopias into a children’s activity. Simply place the ingredients out and allow children to fill the cornucopias. In addition, this fun dish creates an opportunity to talk about the meaning of Thanksgiving and the “horn of plenty” that the cornucopias represent. As a bonus, your kids will eat some fresh fruit! While dessert is usually easier to manage with the little ones, not everyone is fond of pumpkin pies, cakes and cookies. This dessert offers another easy activity for the kids to participate in. Make the rice krispie mix and allow the kids to add the candy corns and chocolate to complete the turkeys. This dish will look adorable on your dessert table and the little ones are sure to finish them off in a snap. Having attractive, fun and delicious dishes on the table is only one way to get children to eat their Thanksgiving meal. Getting kids in the kitchen to help cook is another sure way to build their excitement about the meal. Whether it’s stirring ingredients, grating cheese, or cutting the ends off the green beans, children can be involved in the cooking process. This will build their anticipation about the meal and make them more likely to try the foods they’ve helped make. You can also encourage the children to help set the table, decorate and be involved in the Thanksgiving preparations in other ways. The more they’re involved, the more they’ll be invested in sitting down and enjoying the meal. In this busy season of holiday preparations, it’s easy to feel overwhelmed, especially when you have to plan for your picky eaters. However, with Picniic, you don’t have to be overwhelmed or stressed. Use our meal planning feature to plan your Thanksgiving day meal. You can also save the above recipes that you want to try in the app, making them easy to find when it’s time to cook. Finally, use our shopping list to keep track of ingredients so that picking up groceries is stress-free. Do you have tried and true recipes that work for your picky eaters? Tell us about your favorite holiday dishes in the comments below.